A vertically oriented semi-circle of LED lights is attached perpendicular to the plane of a circular mirror, so that a ring of light is completed in the reflection. 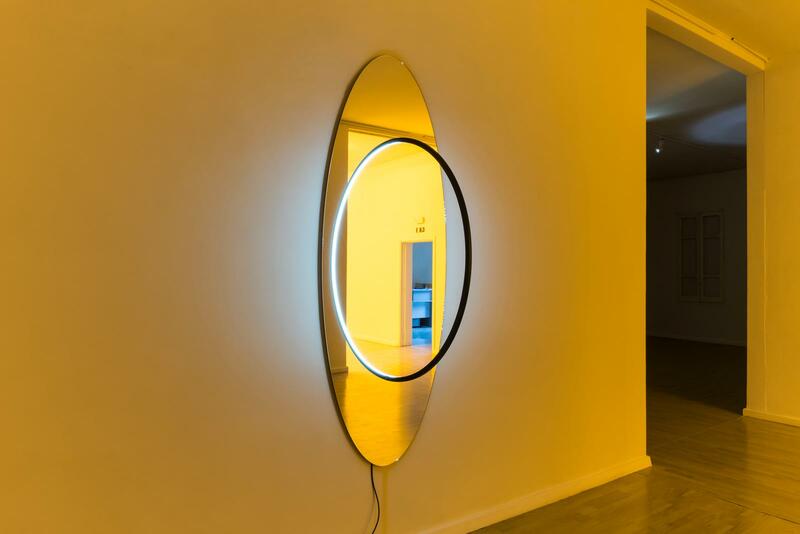 Visitor and ring segment are reflected equally in the mirror, which both traces the other half of the circle and projects an echo of the space onto the other side of the glass. The spectator is subsumed into the artwork, highlighting the unique impact achieved by her presence, but the full circle exists only for her.